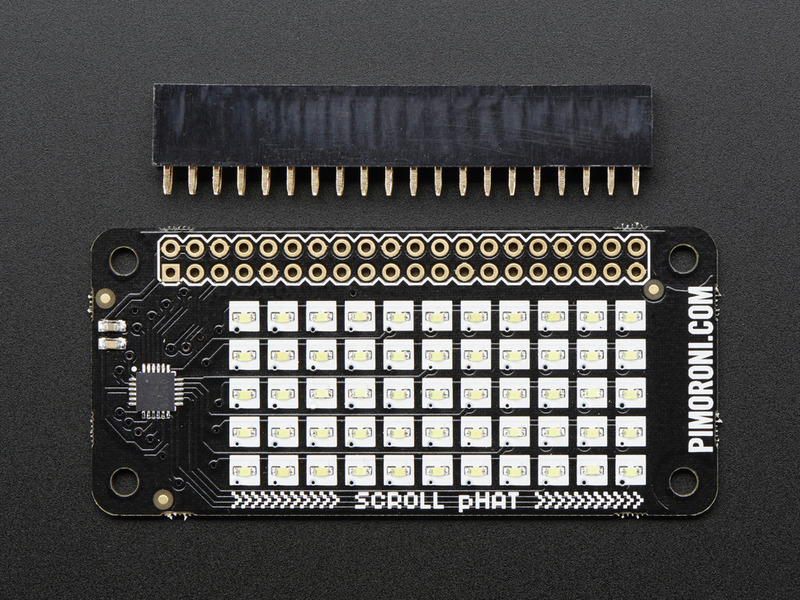 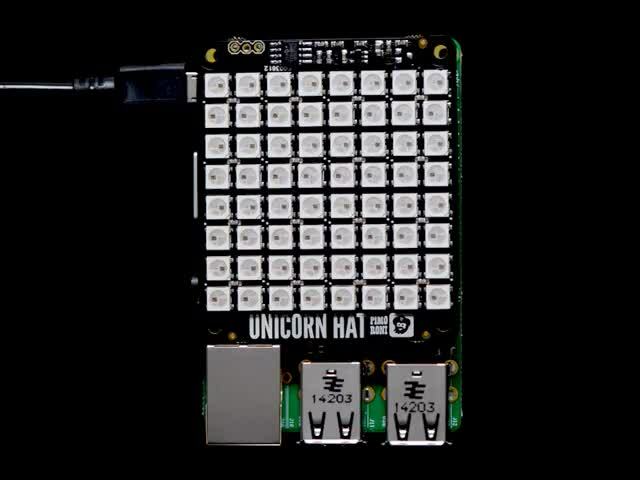 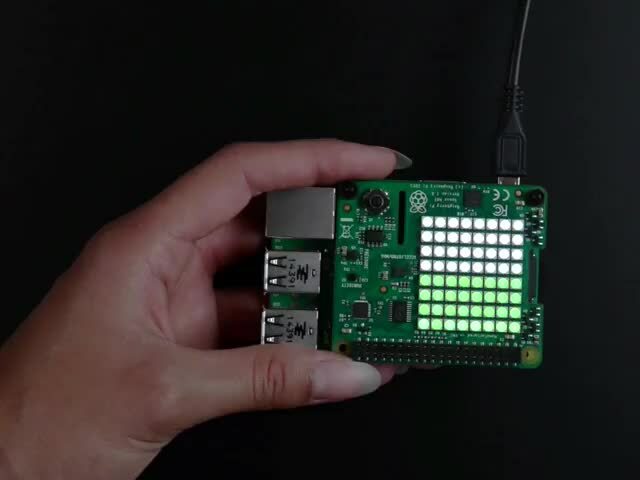 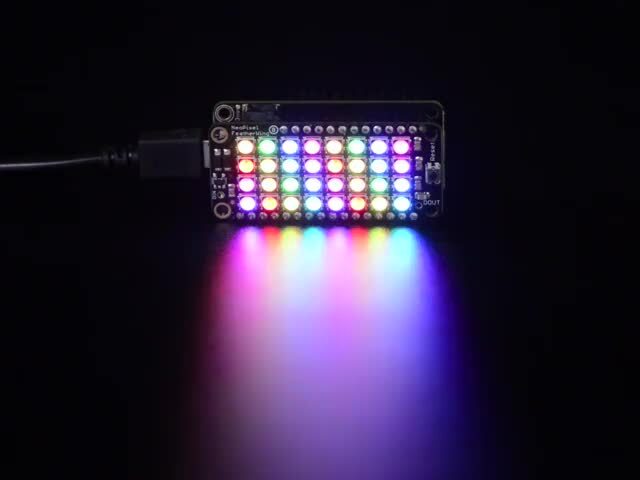 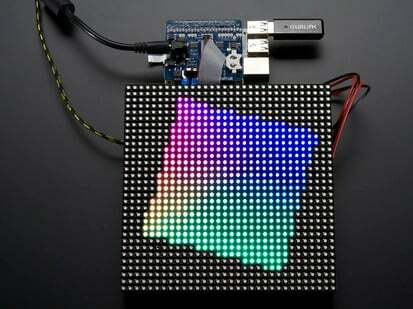 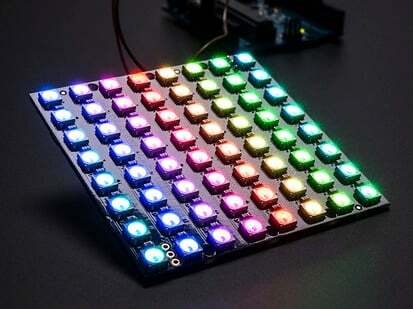 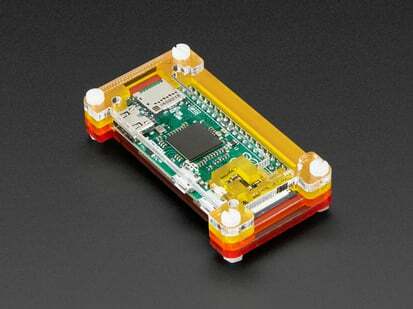 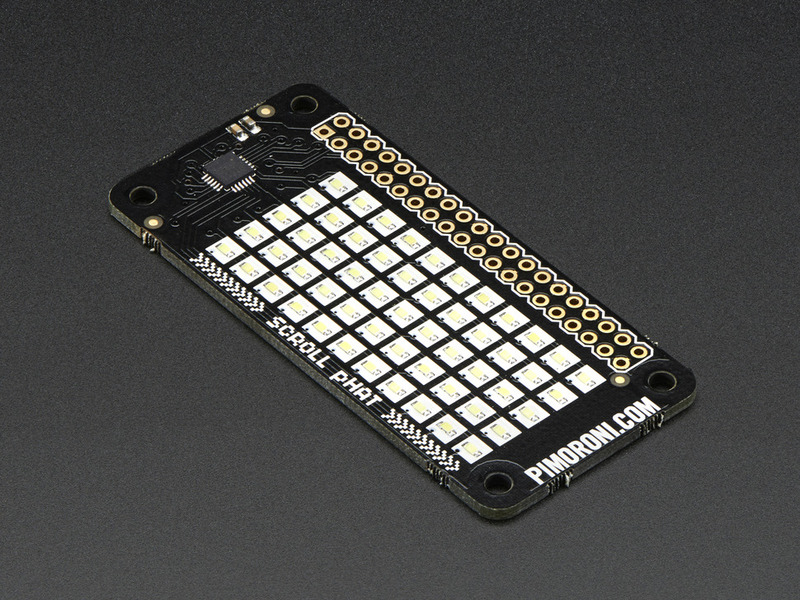 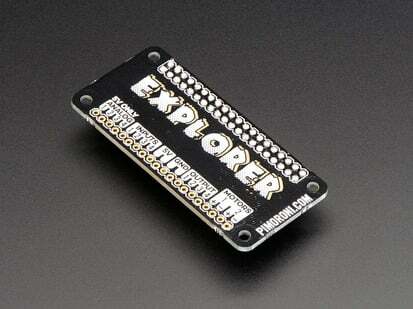 Let your Pi talk back with this slick little 11x5 LED matrix Scroll pHAT! 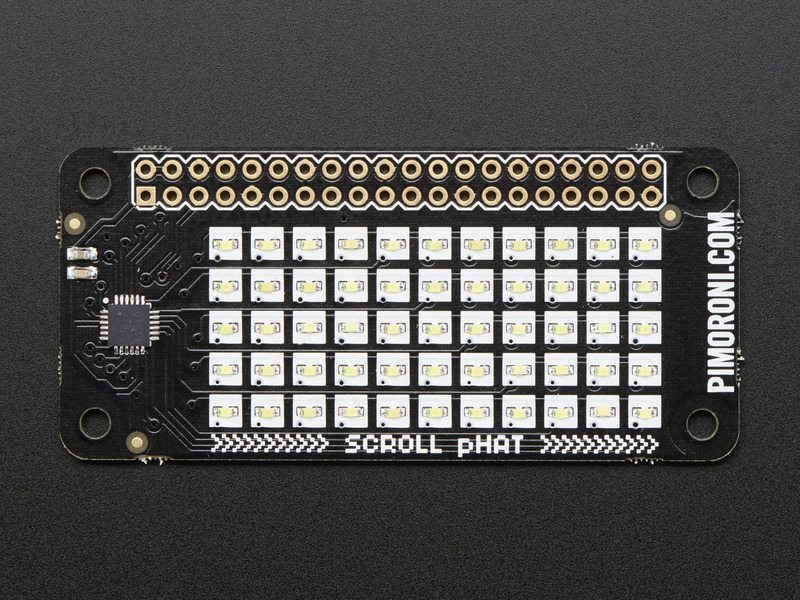 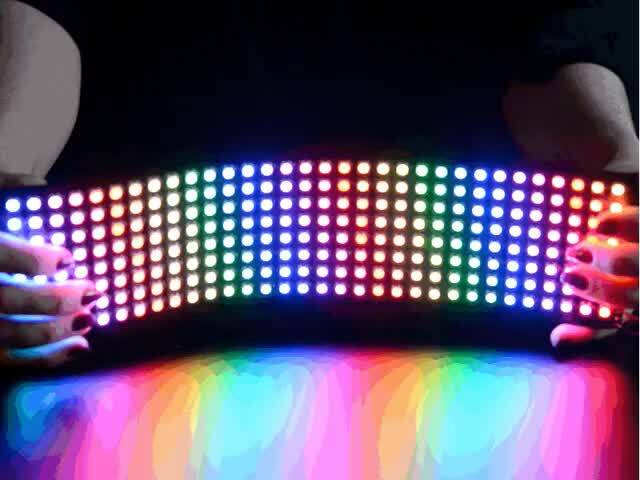 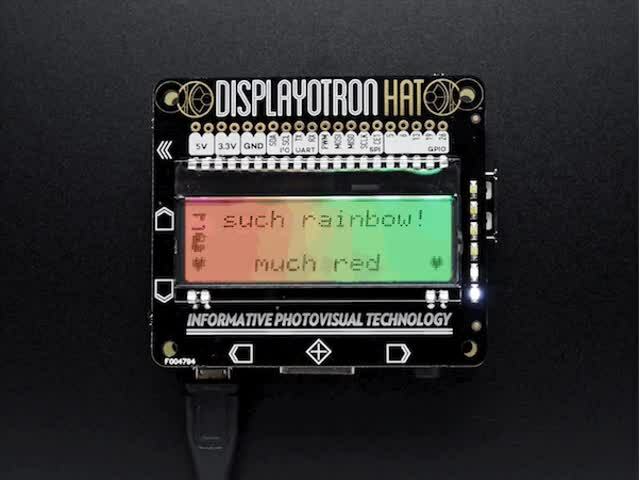 The Scroll pHAT provides a matrix of 55 white LED pixels that is ideal for writing messages, showing graphs, and drawing pictures. 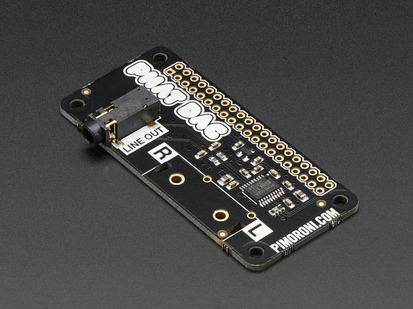 Use it to output your IP address, show CPU usage, or just play very-low-rez pong! At the heart of Scroll pHAT is ISSI's IS31FL3730 matrix LED driver chip. 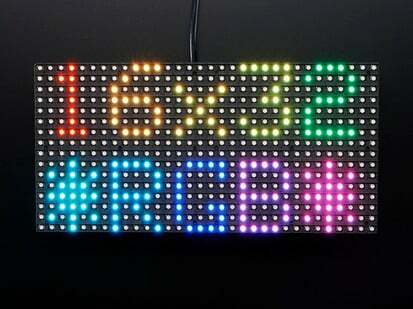 It can drive multiple LED matrix and segment display formats and also supports controllable display brightness. 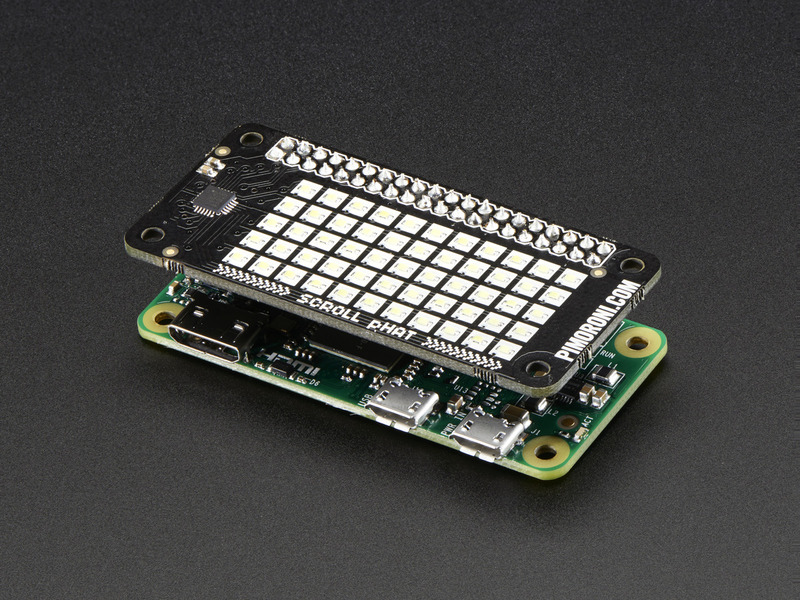 You can find the Python library on Github. 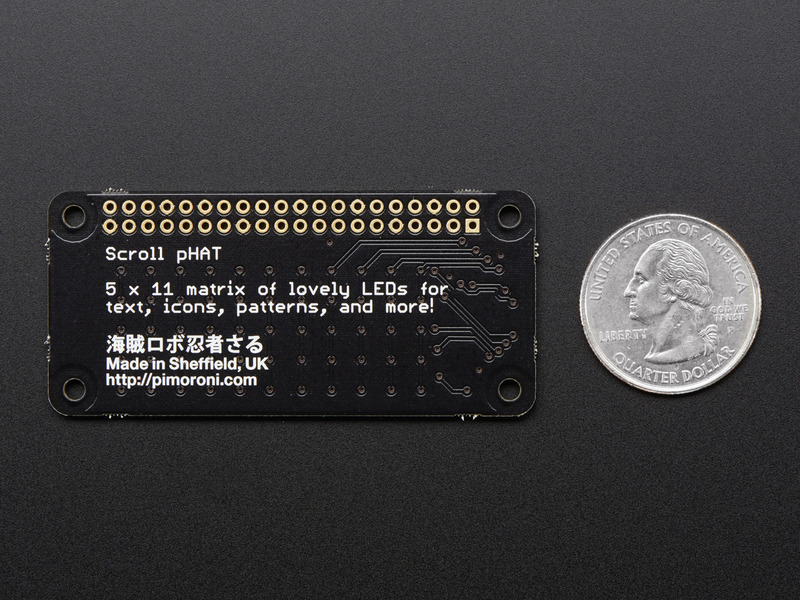 65mm x 30mm x 2.2mm / 2.56" x 1.18" x 0.09"